How much should you spend on a new car? Not more than 20 percent of monthly income, say experts. To calculate monthly payments, you should factor in proposed purchase price, the down payment, interest rate and term of your loan. Check out our Finance Calculator link to calculate your monthly payment or the purchase price you can afford. A new car loses a significant amount of its value when you drive it off the lot. That’s where the down payment — the amount of cash you bring to the purchase — comes in. You should plan on putting down at least 20 percent of the purchase price. With that much down, a buyer should begin to see positive equity about two years into a four-year loan, assuming the vehicle’s kept in good shape. If you can’t put down 20 percent, scrape up as much cash as you can and keep the term of the loan as short as possible. 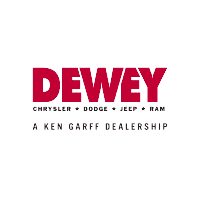 After I select my vehicle, what steps do I take to lease or finance it with Dewey Chrysler Dodge Jeep Ram? Once you select a vehicle you can apply for leasing or financing online or at the dealership. To apply online, fill out our online Credit Application. What happens if my new vehicle hasn’t arrived yet when my current lease is ending? You may have the option of extending your lease for a month until your vehicle arrives. All you need to do is contact a Lease End representative to discuss your options. What happens if I terminate my lease early? Based on the terms of your lease agreement, you may have various options available to end the lease early. Please note you may have to pay a substantial charge to end the lease early. Your vehicle may be purchased at the end of your term by contacting a Lease End representative. Once requested, we can generate a payoff quote and fax or mail it to you. When we receive a certified check for the payoff amount, we can release the title. A charge included in most lease transactions that is either paid upfront or is included in the total cost of the vehicle. This fee usually covers a variety of administrative costs such as the costs of obtaining a credit report, verifying insurance coverage, checking the accuracy and completeness of the lease documentation, and entering the lease in data and accounting systems. A loan that is amortized only down to the expected end-of-term value,with a remaining balance to be paid in a lump sum at the end of the term. Estimated final payment that covers the remaining expected value of the vehicle. The portion of the monthly payment that covers depreciation, any amortized amounts, and rent charges. It is calculated by adding the amount of depreciation, any other amortized amounts, and rent charges and dividing the sales/use taxes. Other monthly fees are added to this base monthly payment to determine the total monthly payment. Also called “cap cost.” The dollar figure that the lease is based on. It includes the price of the car plus selected options. Other costs such as title, license and documentation fees can sometimes be added in. The sum of any down payment, net trade-in allowance, and rebate used to reduce the gross capitalized cost. The cap cost reduction is subtracted from the gross cap cost to get the adjusted cap cost. This is a lease in which you are not responsible for the difference if the actual value of the vehicle at the scheduled end of the lease is less than the residual value. You may, however, be responsible for excess wear and excess mileage charges if they apply. 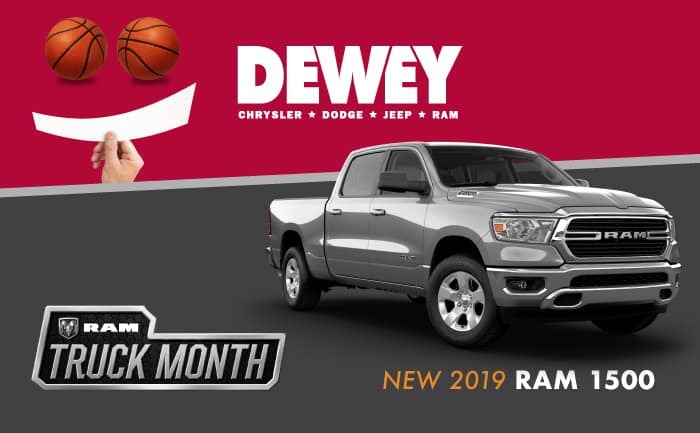 Total amount charged to cover the vehicle’s projected decline in value through normal use during the lease term as well as other items that are paid for over the lease term. It is calculated as the difference between the adjusted capitalized cost and vehicle’s residual value. This amount is a major part of your base monthly payment. An initial cash payment in a lease that reduces the capitalized cost or is applied to other amounts due at lease signing. See Capitalized Cost Reduction. If you are financing, most retail transactions involve a down payment of 10 to 15 percent of the amount to be financed. However, it can be less, depending on your credit standing, ability to repay and other criteria. A down payment helps lower your monthly payment, as well as establish equity in your vehicle. Ending of the lease before the scheduled termination date for any reason. The reason may be voluntary or involuntary (for example, the vehicle is returned early, stolen, or totaled, or you default on the lease). In most cases of early termination, you must pay an early termination fee. A charge by the lessor for miles driven in excess of the maximum specified in the lease agreement. Amount charged by a lessor to cover wear and use on a leased vehicle beyond what is considered “normal.” The charge may cover both interior and exterior damage, such as upholstery stains, body dents and scrapes, and tire wear beyond the limits stated in the lease agreement. The lessee must either repair the excess wear and use or pay the lessor the estimated cost of repairs. A plan that provides you financial protection in case your lease vehicle is stolen or totaled in an accident. If the vehicle is stolen or totaled, the lessor will cover the difference between the early termination payoff and the amount for which the vehicle is insured. You will still be responsible for any past due amounts you may owe on your lease, a disposition fee, your insurance deductible, and any other policy deductions by your insurance company. The agreed-upon value of the vehicle, which generally may be negotiated; plus any items you agree to pay for over the lease term such as taxes, fees, service contracts, insurance, and any prior credit or lease balance. A contract between a lessor and a lessee for the use of a vehicle, subject to stated terms and limitations, for a specified period and at a specified payment. The period of time for which a lease agreement is written. The party to whom the vehicle is leased. In a consumer lease, the lessee is you, the customer. The lessee is required to make payments and to meet other obligations specified in the lease agreement. The person or organization who regularly leases, offers to lease, or arranges for the lease of the vehicle. Sometimes called “sticker price,” the MSRP is set by car manufacturers and, by law, must be posted on a window sticker. Your right to buy the vehicle you have leased before or at the end of the lease term, according to terms specified in the lease agreement. A lease agreement may or may not include a purchase option. An option in a lease that allows the lessee to purchase the vehicle at the end of the lease term for a specific price, and in some cases, during the lease term at an amount to be determined or at a specified price. An amount collected by the lessor at the beginning of the lease to ensure the lessee’s compliance with the terms of the lease. The security deposit is generally refundable at lease end, provided there are no excess mileage or excess wear and use charges, outstanding parking tickets or unpaid lease payments. A few states do not allow security deposits but do allow a reconditioning reserve. The reconditioning reserve can only be used to repair the vehicle and cannot be used for past-due payments, late charges, parking tickets, etc. The end of term value of the vehicle established at the beginning of the lease and used in calculating your base monthly payment. The residual value is deducted from the adjusted capitalized cost to determine the depreciation and any amortized amounts. It is an estimate that may be determined in part by using residual value guidebooks. The residual value may be higher or lower than the realized value at the scheduled end of the lease. The duration of the term of the retail contract, usually expressed in months (e.g., 24 months, 36 months). The scheduled termination is the end of the lease term as called for in the lease. Legal document that identifies the owner of the vehicle. The lessor, not you, holds the title to the leased vehicle.